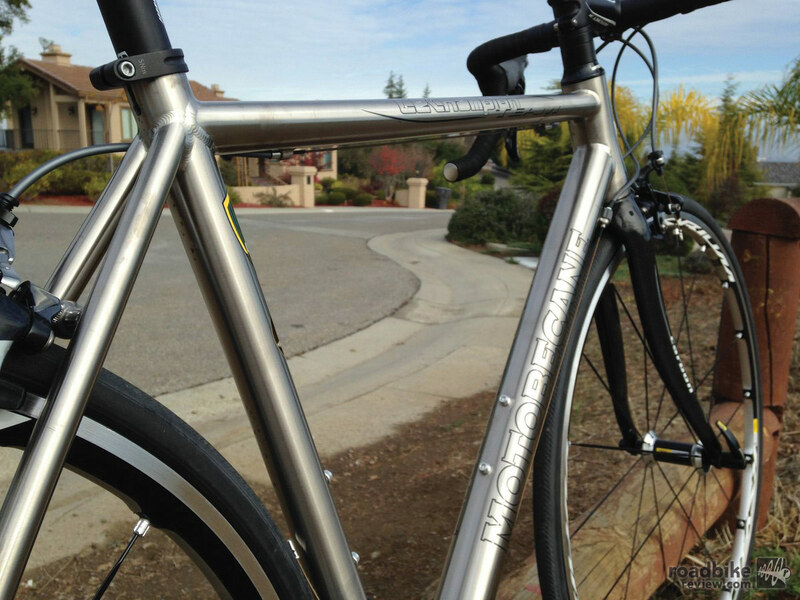 The frame is built well with nice lines, clean welds, and a beautiful finish. This Motobecane bike is a without question a good deal at $3000 since the components alone tally up to around $3600 (sans frame). The question is how the frame measures up? We are happy to report that it’s a winner. 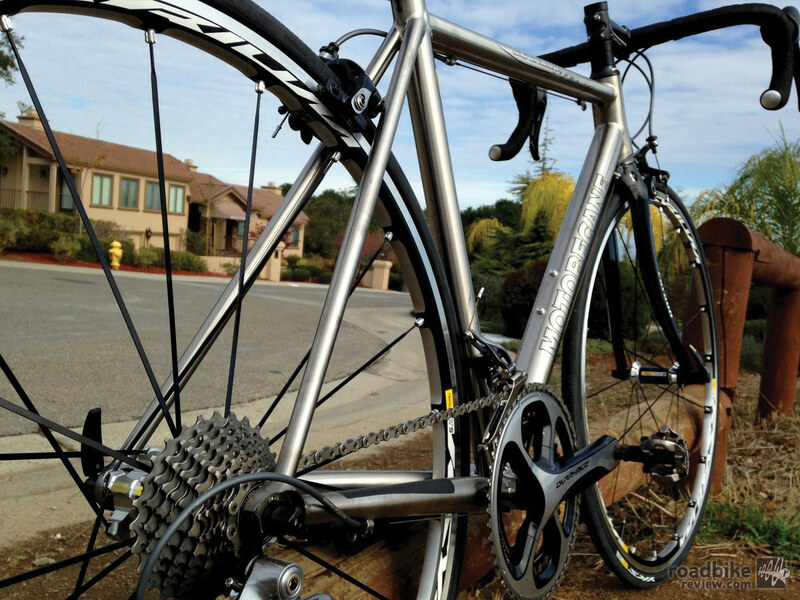 The frame is well built with nice lines, clean welds and a beautiful finish. And some of the components that hang on the frame are best of breed with a complete Shimano Dura Ace 11-speed group and Mavic Ksyrium wheels. The bike rides well. 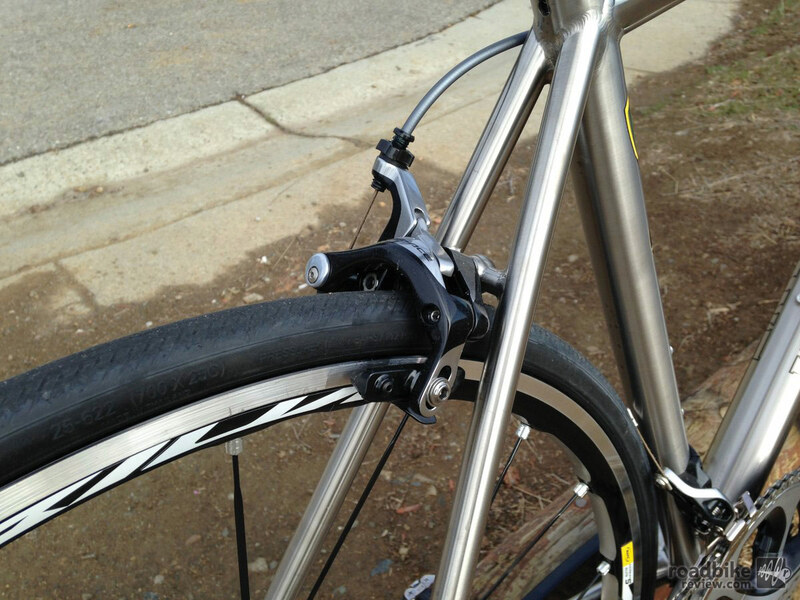 It is smooth and comfortable and tracks well on any kind of pavement and even dirt or gravel. Handling is crisp and predictable; it can be pushed to descend at break-neck speeds. 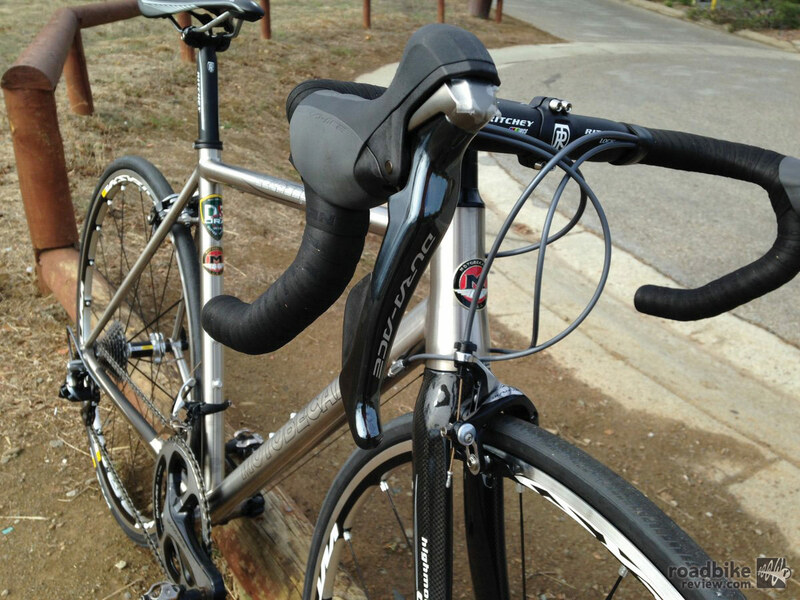 Position is upright with a tall head tube, making this a good bike for long distance rides, gravel and commuting duties. However, it’s not a pure bred racer with massive acceleration or laser-sharp handling. No discussion a Motobecane bike is possible without talking price. Their pricing is typically around 40 percent below what big-name manufacturers charge for comparable product. The manufacturer direct model and the buying power of a large-volume player come into play here. 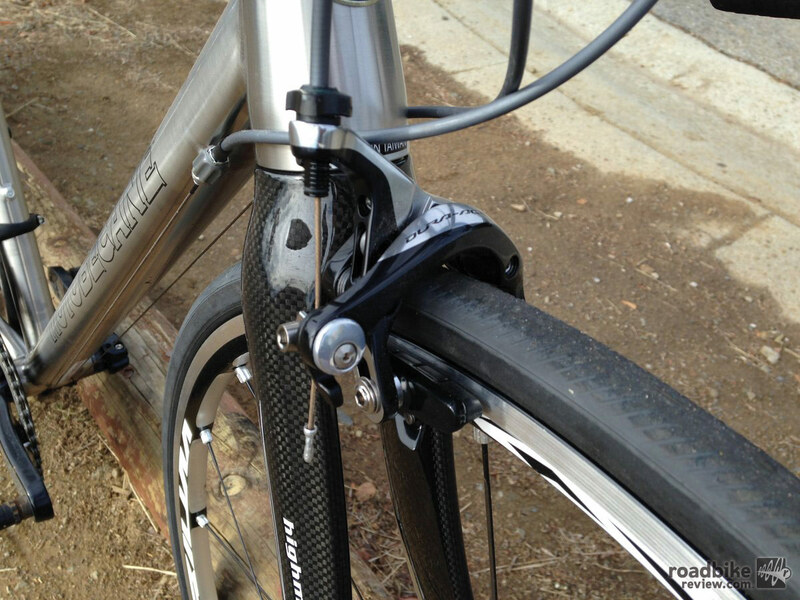 And Motobecane is smart to stick with brand-name, highly recognizable components. Thus the buyer feels comfortable with the purchase, as the retail value of the components often exceeds the price of the bike. 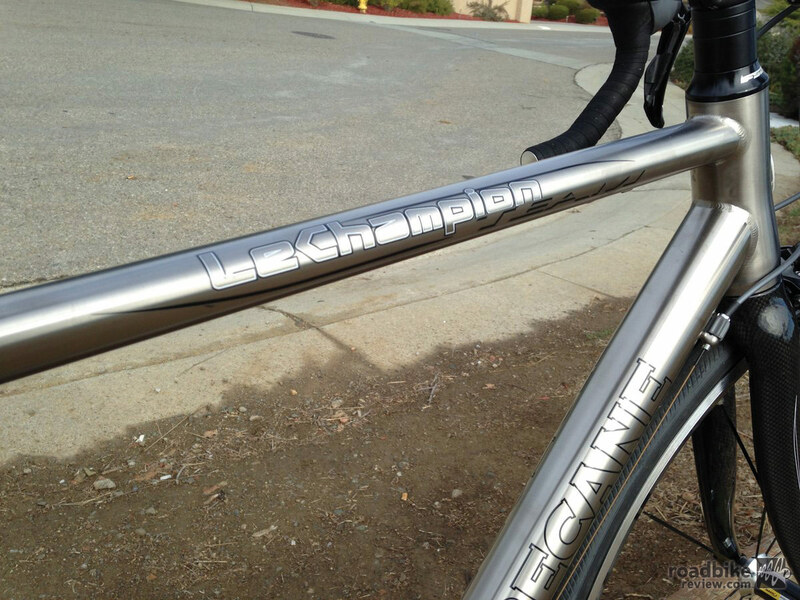 The Le Champion frame is smooth and responsive. So the only issue is the frame. Is it worthy or not? Many folks take the risk and take comfort with the fact that worst case scenario the value of the components make it a good buy. 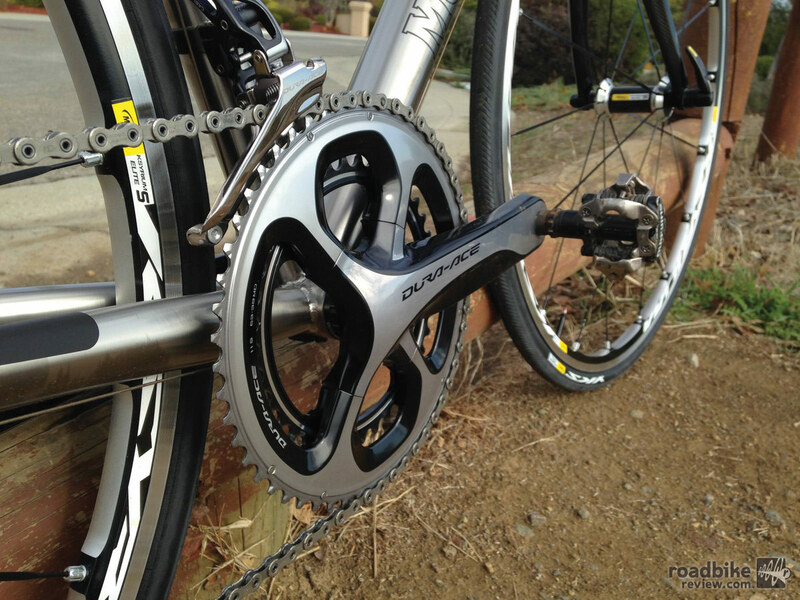 Dropouts are stiff and the Dura Ace 11-speed drivetrain performed flawlessly. Brand-name, highly recognizable components are featured on the Le Champion. 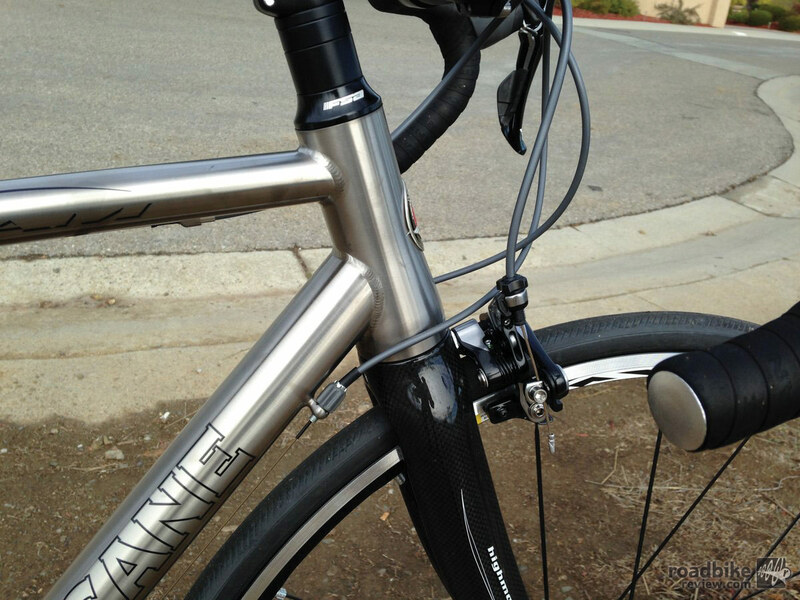 The handlebars could be much improved with a carbon version but that is an easy upgrade given the savings on this bike. These Mavic Ksyrium Elite wheels performed flawlessly. The tires were good too, but we upgraded them to Michelin 30c tires for more mixed terrain capabilities. 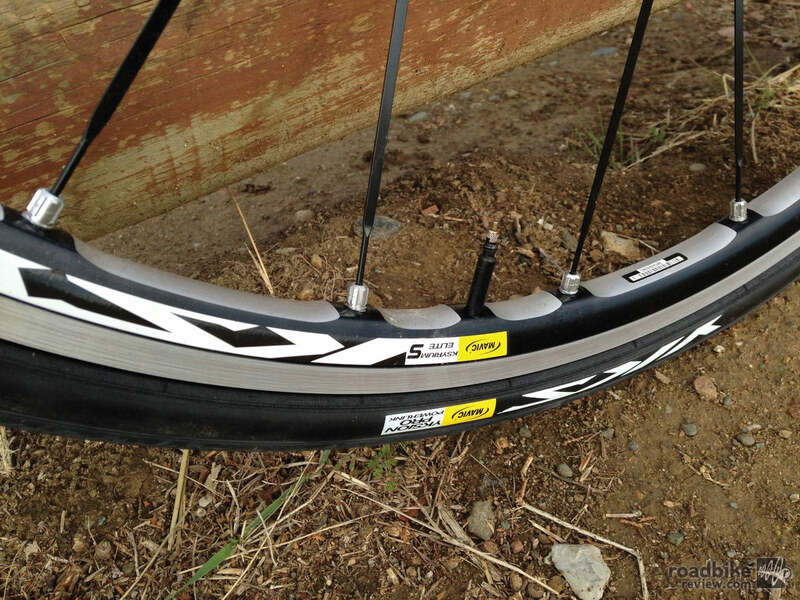 Mavic Ksyrium wheels deliver performance. So this is indeed a great bike in its own right but the $3000 price tag leads us to give it a 5-star review as it is a tremendous value. 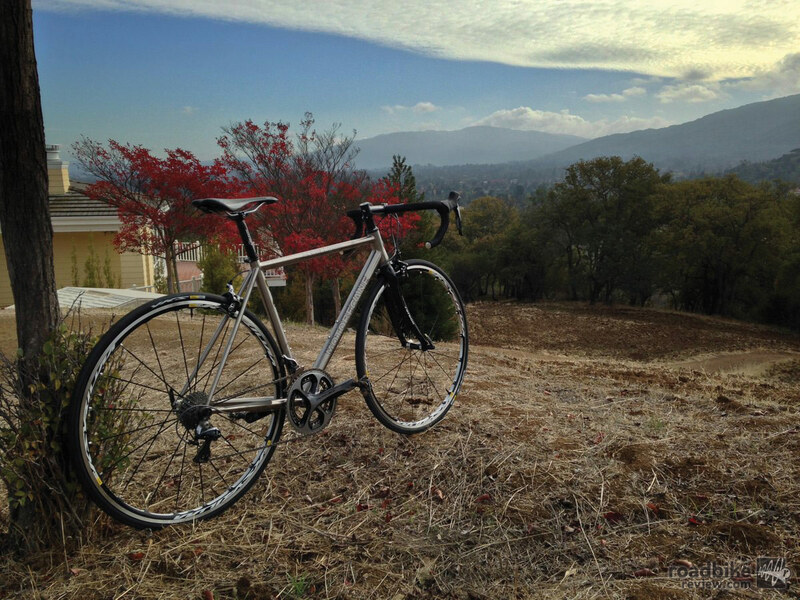 The other exciting offering is a full Shimano Ultegra 11-speed version of this bike. It is available for $1800 and details can be found at www.bikesdirect.com. 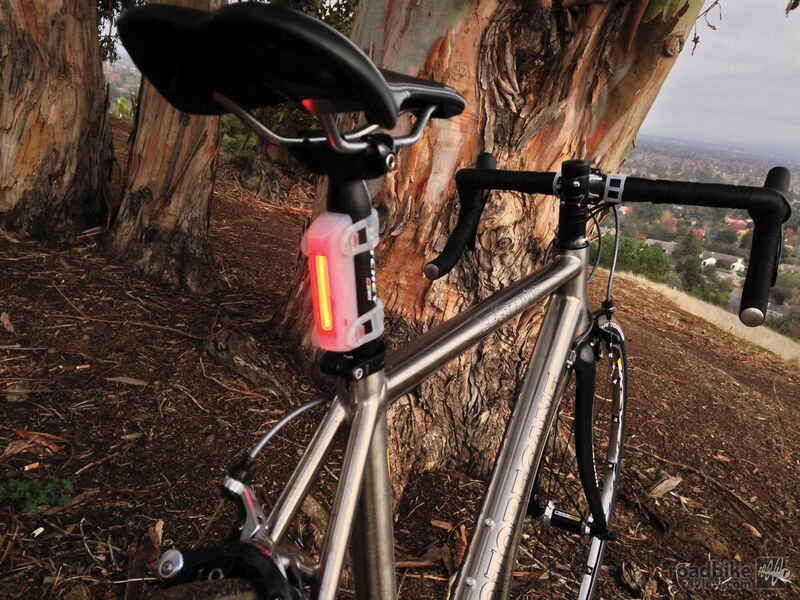 For more information visit www.bikesdirect.com. 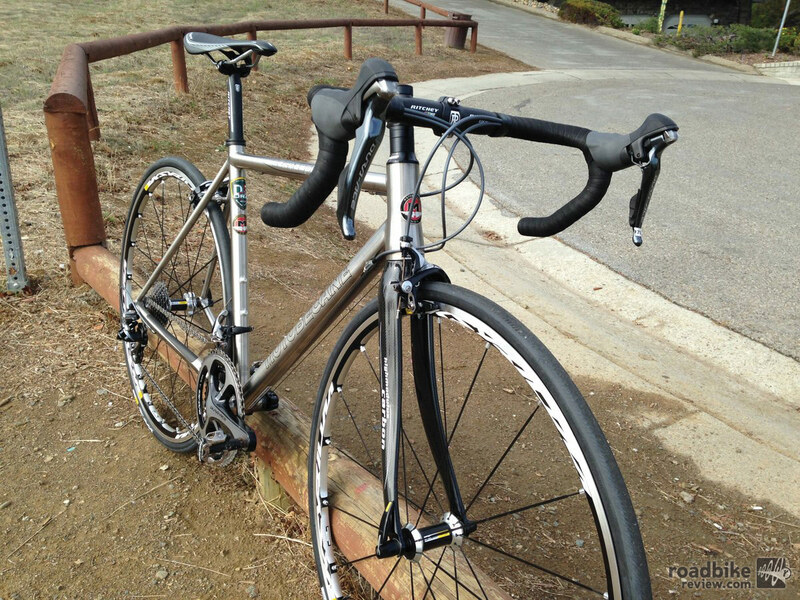 The frame is built well with nice lines, good welds and a beautiful finish. The founder of mtbr and roadbikereview, Francis Cebedo believes that every cyclist has a lot to teach and a lot to learn. 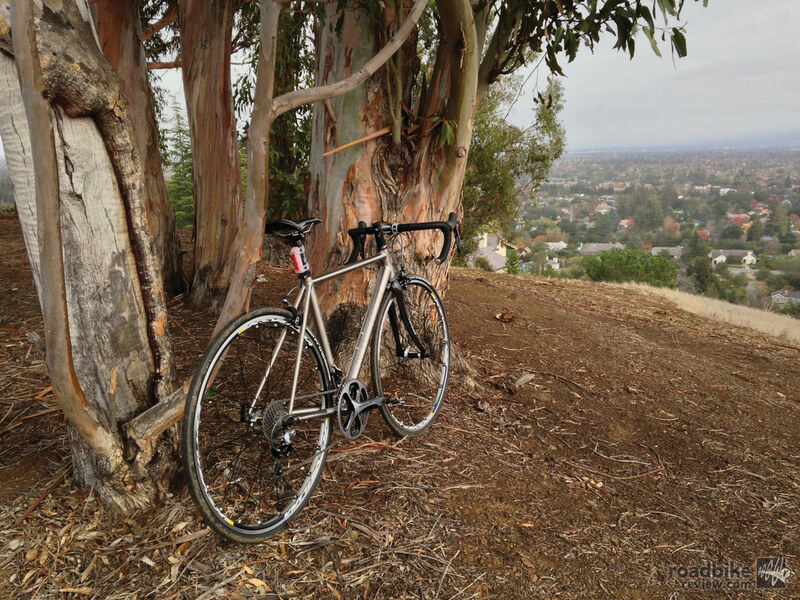 "Our websites are communal hubs for sharing cycling experiences, trading adventure stories, and passing along product information and opinions." Francis' favorite bike is the last bike he rode, whether it's a lugged commuter, ultralight carbon road steed, singlespeed or trail bike. Indeed, Francis loves cycling in all its forms and is happiest when infecting others with that same passion. This obsessive personality has also turned him into a bit of an addict when it comes to high quality coffee and IPAs. Other than specifying the Titanium to be 3-2.5 titanium . 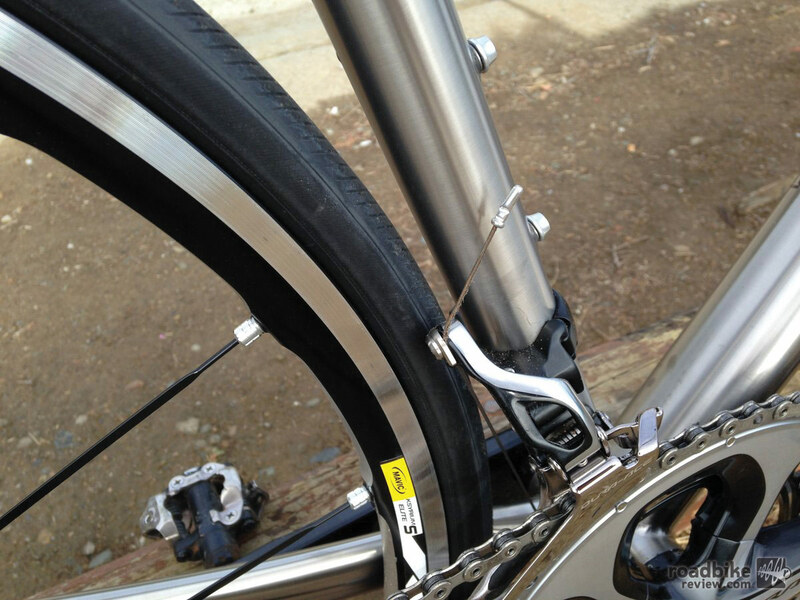 Has Bikes Direct ever given more guidance to the quality of the metal. Is certified to either an ASTM B-338 or a sports grade or scrap? 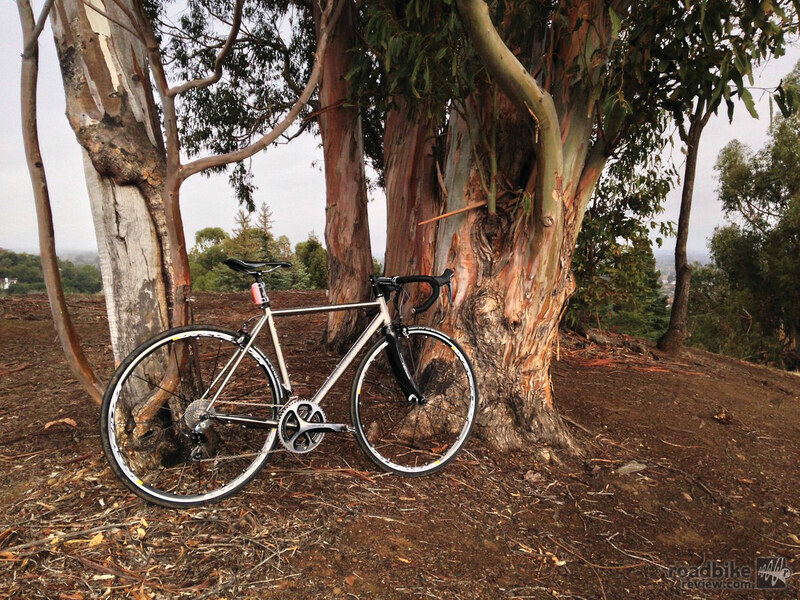 Hi – These Motobecane Titanium frames are made by ORA Titanium. The tubes are custom drawn and therefore not scrap. Ora is one of the largest, oldest and best Titanium welders in Asia. They have built and currently build for many big names. 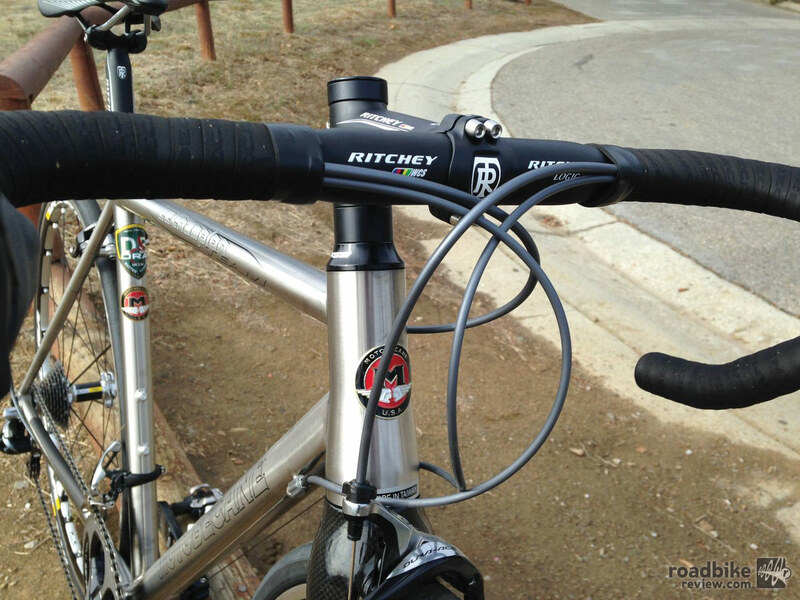 Names like Ritchey, Salsa Cycles, On One, Jeff Jones and more. 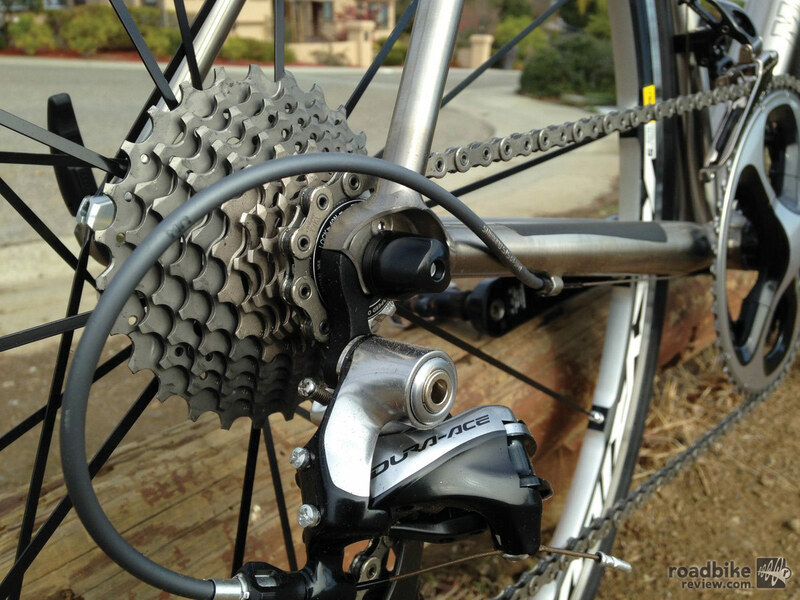 What is the gearing: Rings and cassette. What is the frame size of the bike in the photos?